What Is EIFS and Does it Matter? If you’ve never heard of EIFS, you’re not alone. But that doesn’t mean that you – as a building owner – don’t actually deal with it and its complications on a daily basis. These complications are a common problem across the nation, causing damage to homes and buildings that make them more difficult and costly to insure. In fact, in Florida, if you have EIFS, you reduce your options for insurance carriers from 20 all the way down to around 5. And the better and more competitive carriers are eliminated. In the end, that means that property owners are generally forced to pay higher premiums for less extensive coverage. This is why it is extremely important to be informed when you are planning to build or begin any type of addition on your property. You need to ask your contractor, “what is EIFS” – especially as many brands and products are identified by their brand and do not use the term “EIFS” specifically. EIFS – or “exterior insulation and finish system” – is also often referred to as synthetic stucco or fake stucco. Created and first introduced in Europe more than 75 years ago, EIFS has since become a popular product with US-based builders because it is often cheaper and easier to apply than traditional stucco. In the comparison of EIFS vs. stucco, the greatest difference is the application process and the impact that has on its strength. So what is EIFS and why do EIFS problems arise? Truly, the issue arises when impact to the surface causes damage. Because of the thinness of the stucco coating over the softness of the base, impact to the surface often results in cracks. Naturally, cracks in the surface of the EIFS allow water to penetrate, which introduces moisture that seeps behind the surface and becomes trapped. Moisture and any amount of water trapped between the sheathing and the Styrofoam of the EIFS causes the development of mold and rot. The greater the mold and rot, the greater – and more expensive – the damage. 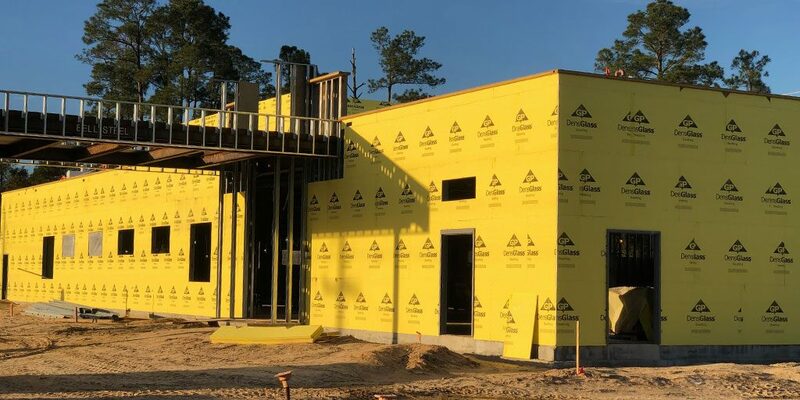 Another complication caused by EIFS – and no small issue for areas in hurricane-prone regions of the country – is the fact that it holds no wind-load certification and does not stand up to high winds. In Florida especially, such lack of strength creates a great deal of concern as high winds often plague the coast and result in serious destruction. As insurers whose focus is on meeting the needs of clients such as churches, non-profit organizations and Christian schools, we at Beacon Insurance Agency may not work with homeowners faced with the need to understand what is EIFS or which material wins the question of EIFS vs. stucco. We do, however, have a number of clients whose buildings require proper insurance against maintenance issues and property damage of all types – an example of which is the damage caused by EIFS problems. We encourage all of our clients to gain a better understanding of the product itself and to determine which of their buildings are vulnerable to the failings of EIFS and how to solve the issue. Safety and liability risks due to construction issues such as EIFS problems are a regular concern for all of our clients at Beacon, so we encourage them to take advantage of our partnership with GuideOne Insurance and the exclusive access it provides to use safety resources that offer guidance in whatever risks they face. Don’t let your church building fall to the damage of EIFS! Call Beacon Insurance Agency to learn more about the insurance coverage and many safety resources we offer today!